Meet some of the staff featured in our documentary series, Ambulance, and find out what it’s like to save lives in London. Shani, Emma and Dean all appear in episode two: the night shift, airing on Tuesday 4 October. 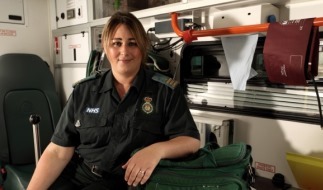 Having joined the Service in 1999, Shani has recently become a registered Paramedic. In episode two, Shani and crewmate Dave are working the night shift, responding to patients in central London. “I love helping people, especially older people. I joined the Service because I wanted to give something back. “But the job can be very tiring and I don’t think people realise what goes into it. 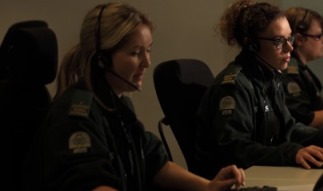 Thirty year old Emergency Medical Dispatcher Emma Comiskey joined works alongside a 100-strong team in our control room. In episode two, Emma takes a call from a suicidal patient, and supports him over the phone for almost 90 minutes. “I take emergency calls when people dial 999. When they ask for the ambulance service, they’ll come through to people like me and then, based on priority, an ambulance is assigned to the calls. 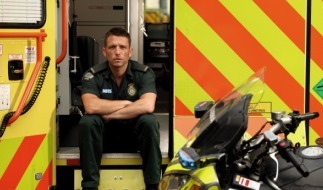 Paramedic Dean joined the Service seven years ago, and now works alongside crewmate Andy from Camden. “In the past seven years, the job has got a lot busier. In the past, you’d have time to go back to the station between incidents and would always finish up on time.